HTC has confirmed through twitter updates, that the touchscreen/QWERTY slider known as the Touch Pro2 will be available in all major markets, including North America. So never fear, it will be everywhere. Not many details to be had unfortunately. For instance, we don’t have an exact date. We just know that the launch should be in Q2 if all goes well. We’re also curious about whether or not 3G compatibility will be added. We’ll have to wait and see. HTC has unveiled its latest mobile handsets at MWC 2009 in Spain with the unveiling of its Touch Diamond 2 and the Touch Pro2 handsets. Both handsets use Windows Mobile with the TouchFLO 3D interface. TouchFLO 3D promises to make navigating Windows Mobile easier that using the OS alone. 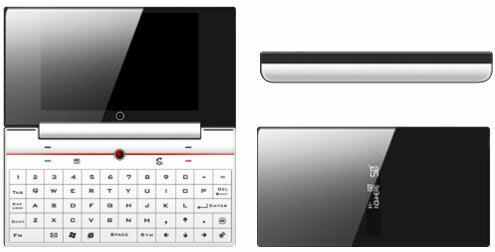 The Diamond2 features a 3.2-inch widescreen VGA display and is only 13.7mm thick. Other features include touch-sensitive zoom and a 5MP camera along with expandable memory, a gravity sensor, and an ambient light sensor. Battery life is promised to be 50% better with the Diamond2. HTC has a new version of it’s GPS-loving Touch Cruise handset. This time it’s thinner, boasts a more stylish design and it has a new HTC Footprints app for integrating GPS data with your photos and notes. The phone can also be used as an in-car navigation system, with the included cradle. Some features include: GPS and a-GPS, quad band GSM, WiFi, Bluetooth 2.0+EDR, a microSD slot and a 3.2 megapixel camera, along with a 2.8-inch QVGA screen. It will cost you $500 to $600 in the second quarter. HTC is dropping it’s latest slider smartphone, the S743, which aims for both style and power. On a disappointing note, why have an alphanumeric keypad in front when it features a full QWERTY keyboard when fully opened? The display could have been a full touchscreen. 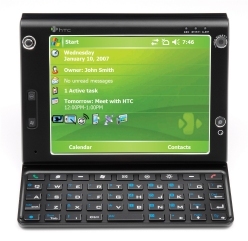 Other features on the HTC S743 aren’t as disappointing: 12-key kepad design, Full slide-out QWERTY keyboard, Windows Mobile 6.1 operating system, Supports HSDPA (850/1900MHz) networks, 2.4″ QVGA display and Microsoft Exchange support. Last week Sprint launched the HTC Touch Pro at “select national retailers” and said that the device would be available online on November 2nd. True to their word, it’s available. The base retail price of the smartphone is $579.99. There is however an “instant savings” of $180 combined with a $100 mail-in-rebate which will bring the price down to $299.99 (with a 2-year agreement). That’s a whole lot of savings. Don’t forget you can always do it the old fashioned way and find a Sprint store and buy one there. 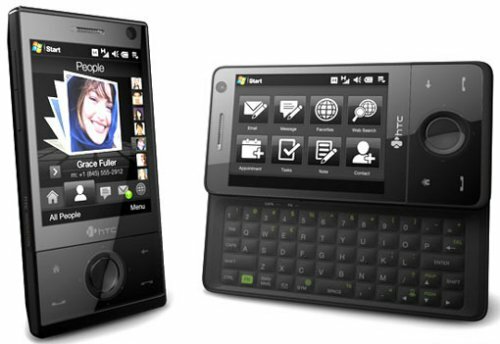 Sprint finally released the new HTC Touch Pro smartphone. Those who have been waiting can purchase the handset online in the next few days. It will be available in Sprint stores beginning on November 2nd, 2008 for $299.99. That’s after a $100 mail-in rebate. The HTC Touch Pro features a high resolution touchscreen display, sliding QWERTY keyboard, and is expandable to 16GB via SD card, with Video Out to display PowerPoint presentations or media files should you wear a tie and have need of such a thing. 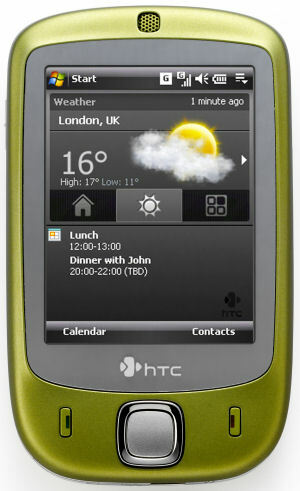 HTC is out today with a new mobile Windows-based touchscreen device which also offers built-in GPS. The HTC Touch Cruise looks like it will be hitting European markets first, with an eventual launch in the United States not announced but logical at some point down the line. The HTC Touch Cruise sports a 2.8-inch touchscreen display and built-in technology to enhance finger touch scrolling and browsing of Web pages, contacts and other on-screen information. As a GPS device it comes pre-loaded with mapping and navigation material from TomTom. Wireless options include 3G-HSDPA, 802.11 and Bluetooth support. Today T-Mobile has announced the launch of the new Shadow mobile phone from HTC. This is the first of a number of Shadow-branded phones that T-Mobile has planned for the future as devices that are “designed for people who have lives beyond work.”, according to Robert Dotson, president and CEO of T-Mobile USA. 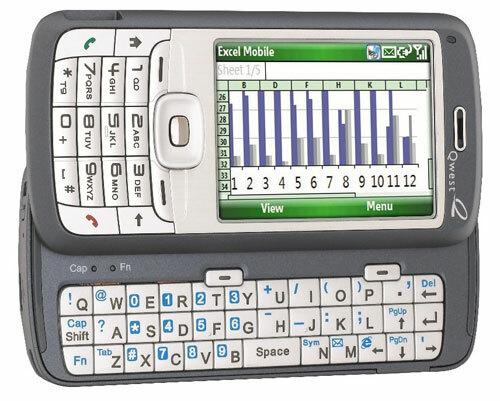 The device runs on an enhanced version of Windows Mobile 6 which hides a lot of the usually interface from Windows Mobile and replaces it with custom menus and navigation. According to T-Mobile the enhanced interface makes the Shadow more intuitive and easier to use. Aside from this slider looking just plain good, it also features a spin navigation wheel, 2.6″ display (not a touchscreen), microSD memory expansion slot, a full QWERTY keyboard, Bluetooth, 2.0 megapixel camera with video capture, media player for music and video, Wi-Fi and EDGE high speed data. The Shadow also has an enhanced version of T-Mobiles myFaves where users can call, email, text, send a picture, send a video or send a voice note easily from the myFaves screen. It even has some instant messaging clients built in, including Windows Live Messenger, AOL IM, Yahoo Messenger and ICQ. 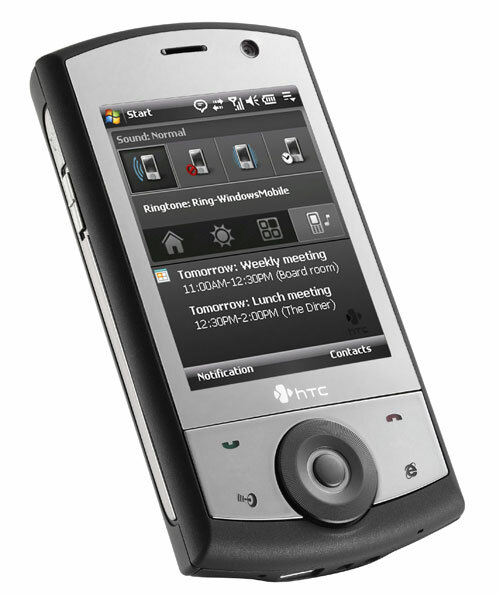 Qwest Wireless is bringing to the United States a new HTC Windows Mobile handset. The mobile operator says it is the first to debut the Quest Fusion HTC 5800, priced at around $200 after a discount we assume is tied to a new service plan. 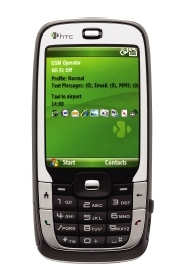 The Qwest Fusion HTC 5800 is powered by Windows Mobile 6 and makes use of Windows Live. 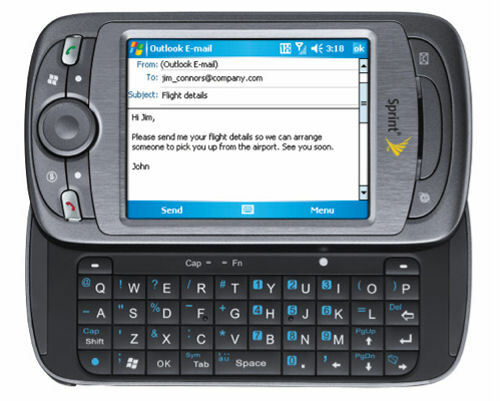 It’s also got Microsoft Office Outlook Mobile for better email support. It sports dual keypads – a normal dialing one and a slide-out QWERTY keypad – and includes support for Bluetooth stereo sound. The Fusion also has a built-in 2.0-megapixel digital camera. It turns out that the veil of mystery surrounding the HTC Omni Communicator had lifted a bit with the publication of some renders and specs on this upcoming piece of hardware now due out in October. While nothing about the unit’s price was gleaned we do have its dimensions (130 mm x 81 mm x 16 mm), and know that it supports WiFi, Bluetooth and USB connectivity, has a 4” WVGA 800×480 screen, internal 256 ROM / 1280 RAM with microSD memory card slot, can handle GPS/A-GPS, is UMTS/HSDPA compatible and runs off of Windows Mobile 6.0 OS. HTC already has a nice accessory for that HTC Advantage X7500 unveiled earlier this year. 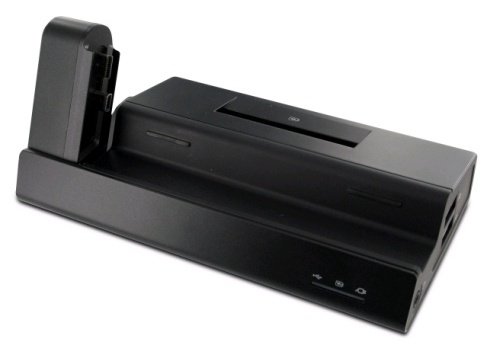 This docking station made specifically for the smart device includes a spot to charge a second battery, a couple USB 2.0 ports, a mini-USB port and A/V connections including VGA, S-Video and a 3.5mm audio jack. And of course it works like most docking stations where you’ll be able to connect your Advantage X7500 to the dock and use a USB keyboard and mouse with your little, super-mobile computer. HTC has the docking station available for about $140, and there are some more pictures of the dock in action available from MEDC Europe 2007. Sprint today rolled out across its cellular network the HTC Mogul. 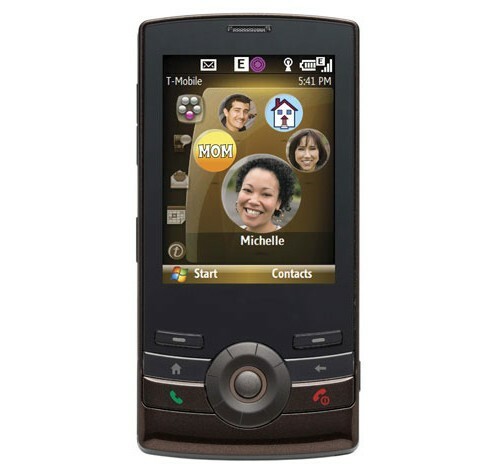 This new handset marks the first CDMA device in the U.S. with Microsoft Windows Mobile 6 Professional Edition and will also be the Sprint mobile that will support EV-DO Rev. A via an upcoming software update. 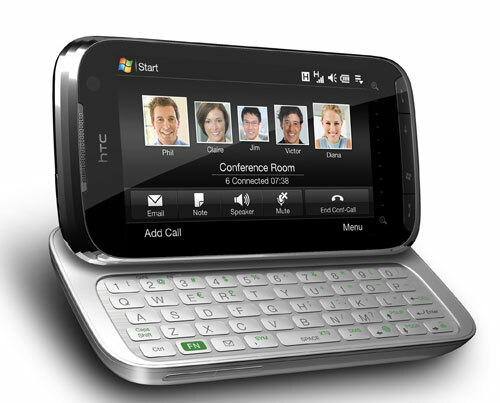 The HTC Mogul, with its slide-out keyboard design, sports a large touch screen with a five-way navigation button. Sprint says this handset gets 20 percent more battery life than its predecessor the PPC-6700. It has 256MB of internal memory, expandable via a microSD memory card. Also built into the mobile is a thumbwheel for one-handed operation and a two-megapixel digital camera with camcorder capabilities. HTC is taking it to Apple’s upcoming iPhone with its debut today of the HTC Touch. This new mobile phone, like the name implies, has a touchscreen interface similar to Apple’s soon to be released product. The HTC Touch, which will initially debut overseas, should find its way to American shores in the second half of this year. It makes use of “TouchFLO”, a technology HTC says it has been developing. TouchFLO reportedly lets consumers “simply sweep their finger up the display to launch an animated, three-dimensional interface.” This interface can be manipulated by similar on-screen finger movements as can built-in functions such as scrolling and and browsing of Web pages and messages. HTC, a provider of Microsoft Windows Mobile powered devices, unveiled three smart devices at the 3GSM World Congress Conference and Exhibition. The new devices focus on the features of Microsoft Windows Mobile 5 and 6 to enhance productivity. 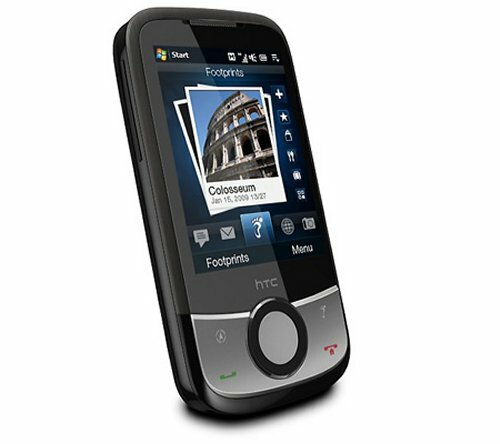 The HTC Advantage X7500 is an entire mobile office in a tiny package measuring 133.5mm (L) x 98mm(W) x 16mm(T). Smarter and lighter than the smallest PC notebook on the market, the X7500 supports Microsoft Outlook Mobile for quick access to email, calendar, task and contact functions. The Advantage is also the first device to feature HTC’s VueFLO navigation technology and detachable keyboard. Stay connected with Tri-Band 3G/ 3.5G (HSDPA) and Quad-Band GSM/GPRS/EDGE). 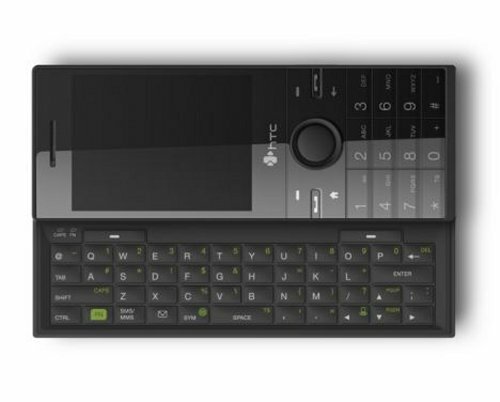 HTC recently launched the HTC P4350 PDA Phone to be released throughout Europe, the Middle East, and Africa in early December. 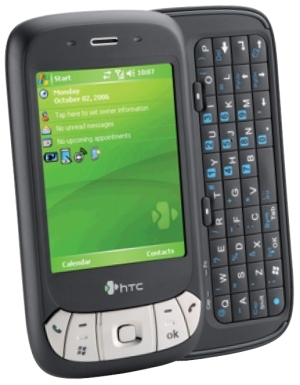 The HTC P4350 is just 17mm thick and features a semi-automatic sliding full QWERTY keypad which demonstrates HTC’s continued dedication to sleek form factors. The P4350 offers users a full “mobile office experience” with Windows Mobile 5.0 Direct push email technology, internet browsing, and synchronization with Microsoft Outlook Calendar, Contacts, and Pocket MSN. Users can work on applications in the Microsoft Office suite such as Word, Excel, PowerPoint, and view PDF documents. The compact device boasts a 2.8” color display touch-screen with a landscape view to make mobile viewing of email, internet, and video a bit easier on the eyes. 128Mb ROM, 64mb RAM, and a microSD slot ensure that you will have enough storage for many of your office documents.